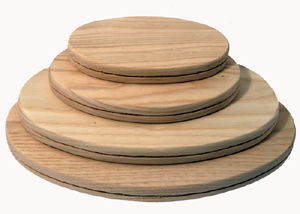 Oak slotted oval bases in 4 sizes. Click for more info. Superior Quality OAK slotted oval bases. Slotted bases make a basket 2" larger than base. For example, a 3x5" base equals a 5x7" basket. Use 3/8" flat or 1/2" flat spokes.